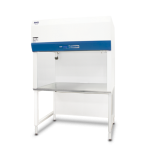 Esco is the world leader in the design and manufacture of premium laminar flow cabinets for the life science market. Based on more than 35 years of experience and know-how, Esco is known for its quality, continual innovation and attention to its customers' needs. 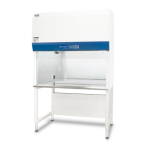 With tens of thousands of laminar flow cabinets installed worldwide providing reliable protection for samples and work processes for a multitude of applications, Esco is the acknowledged leader in providing the best laminar flow cabinets of the highest value, offering a combination of value, high quality construction, low operating costs, great customer support and a wide product range to suit all budgets. The new generation Airstream Horizontal Laminar Flow Clean Benches offers a wide range of options for our customers; with staineless steel side wall, sizes from 3 to 6 feet, Behind the many options that the customer can select, the full range of the new Esco Airstream laminar flow clean benches is powered by the latest generation DC ECM motor. It is more efficient than legacy ECM and VFD motors. 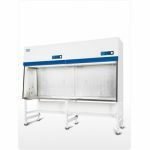 The new generation Airstream laminar flow clean benches offers a wide range of options for our customers; with glass side wall, size range from 3 to 8 feet and internal height from 2 feet, 2.5 feet or 3 feet. 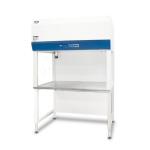 Behind the many options that the customer can select, the full range of the new Esco Airstream laminar flow clean benches is powered by the latest generation DC ECM motor. The new generation Airstream Horizontal Laminar Flow Clean Benches offers a wide range of options for our customers; with glass side wall, sizes from 3 to 6 feet, Behind the many options that the customer can select, the full range of the new Esco Airstream laminar flow clean benches is powered by the latest generation DC ECM motor. It is more efficient than legacy ECM and VFD motors. 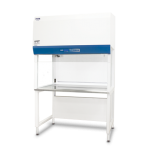 The new generation Airstream laminar flow clean benches offers a wide range of options for our customers; with stainless steel side wall, size range from 3 to 8 feet and internal height from 2 feet, 2.5 feet or 3 feet. Behind the many options that the customer can select, the full range of the new Esco Airstream laminar flow clean benches is powered by the latest generation DC ECM motor.